Second week of June was so much of fun with few interesting events. One of which was the launch of India's first 100% premium grape brandy, Janus from the house of Sula along with Sula wine tasting happened at Movenpick Hotel & Spa, Bangalore. As we all know, brandy is made using grapes. But in India, how many brands we really enjoy? Answer to this question is 'Janus'. Janus, name is derived from the Roman god with two faces, who is known as the god of beginnings. 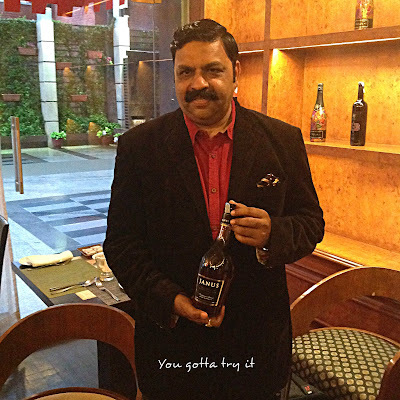 Janus is India's first handcrafted Cognac style brandy made under the supervision of Master Blender Yonael Bernard by using traditional French techniques. French Alembic pot stills are used for double distillation. Grapes such as Thompson grapes, Bangalore Blue and Bangalore Purple are used for making Janus brandy and these are the best ones available in our country. Founder - CEO of Sula Vineyards, Rajeev Samant said, "With this launch Sula takes its first step into the world of spirits with a superbly crafted high end offering. 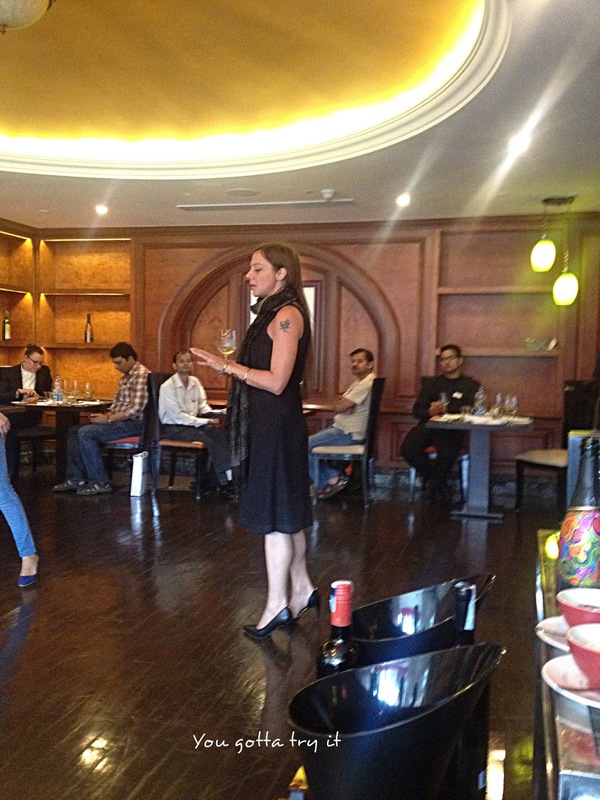 We are confident that JANUS will win accolades and significantly raise the bar for brandy making in India. 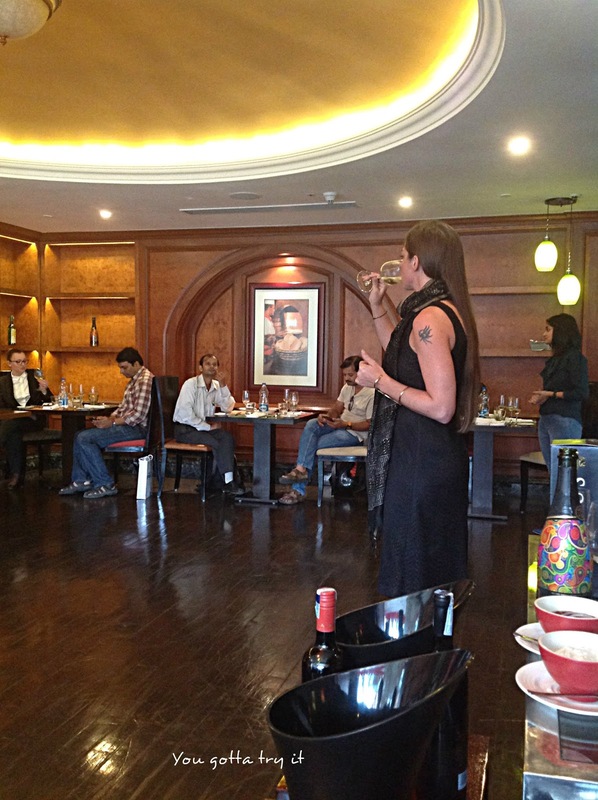 JANUS is India's first handcrafted cognac - style brandy for connoisseurs - from the House of Sula". The word 'brandy' is originated from the Dutch word, 'brandewijn' which means 'burnt wine'. 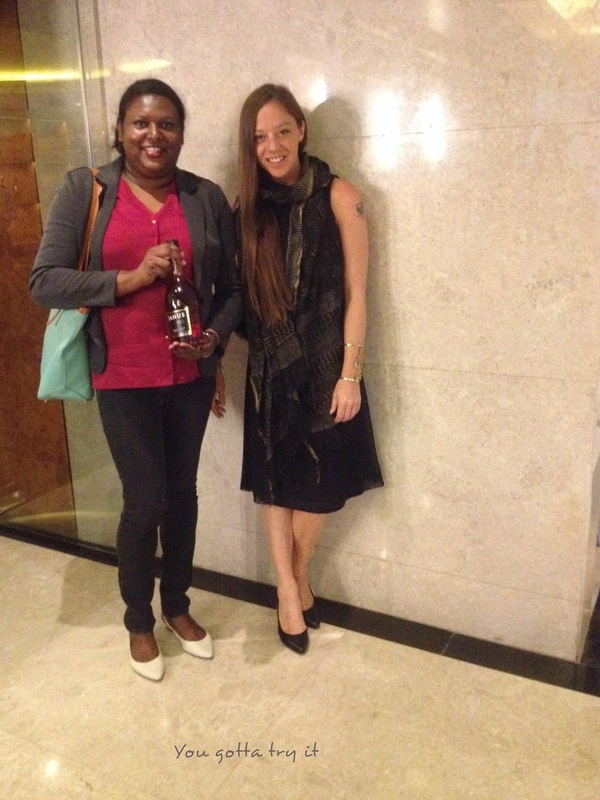 Without wine there is no brandy; brandy is made by distilling wine. Brandy generally contains up to 60% alcohol content and Janus premium brandy has an alcohol content of 42.8% v/v (75 proof). Janus brandy is very smooth and has a subtle gold color, strong oak taste followed by spices and vanilla. Aroma is of fruity flavor and you can feel a hint of apricot and grapes. 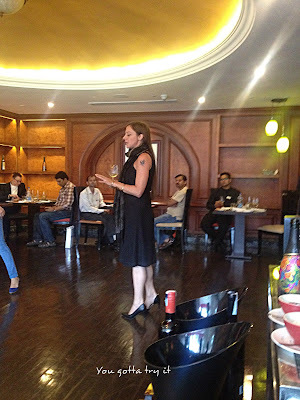 Our session started with the tasting of some of the best wines from Sula along with the details provided by a charming lady, Cecilia Oldne who is the Brand Ambassador and VP-Marketing at Sula Vineyards. Wine we tasted were Sula Brut Tropicale, Sauvignon Blanc, Shiraz, Sula Riesling, Dindori Reserve and Dessert Chenin Blanc. 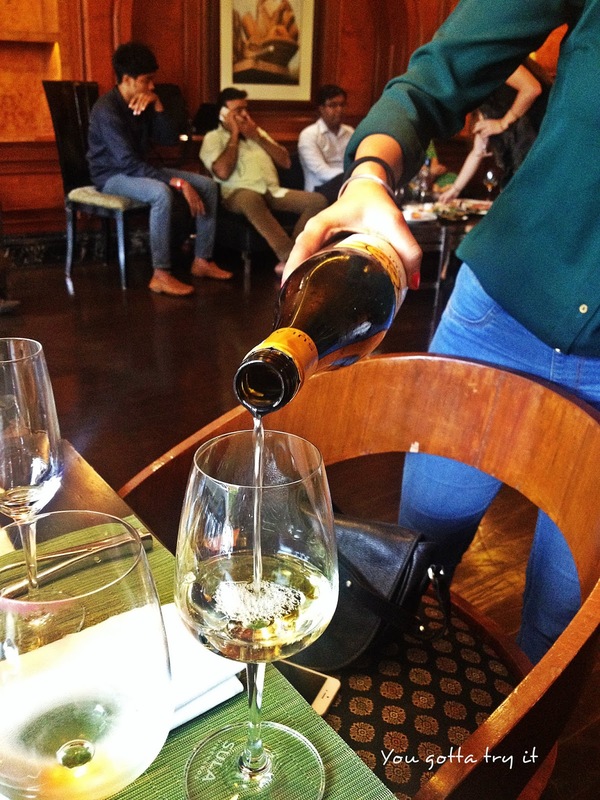 I always prefer red wines and this time my pick was Chenin Blanc. Ms.Cecilia suggested us the right food pairing for the wines we tasted. 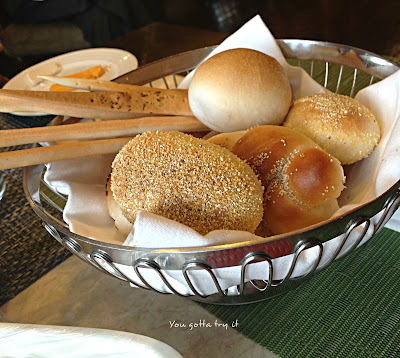 Movenpick Hotel was an apt place to have this session. Food including cheese platter, starters, cold cuts and breads were perfect for the wine and brandy tasting. 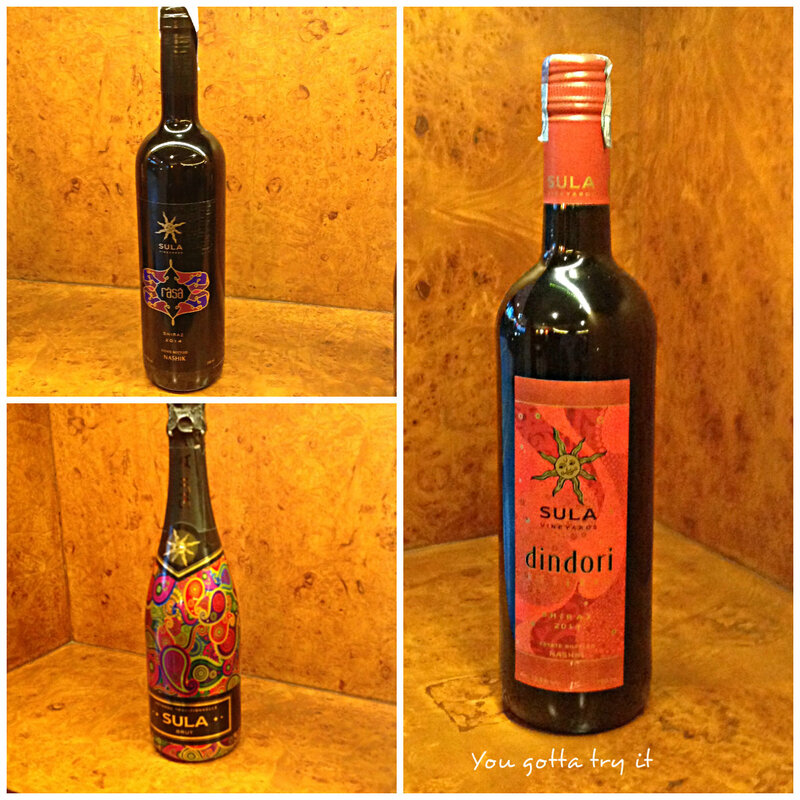 Sula being India's leading wine brand, anytime it's a safest bet for me. Soon after the wine tasting Mr. Yogesh Mathur, VP Manufacturing, from Artisan Spirits gave us the details about Janus. He also shared the making process, effort they put in selecting the best grapes and many other facts. Janus by Artisan Spirits got third position in the 'taste category' at ISC (International Spirits Challenge). Wow! Isn't amazing? Janus bottle looks really cute with the mid-19th century inspired design called 'standard fifth'. 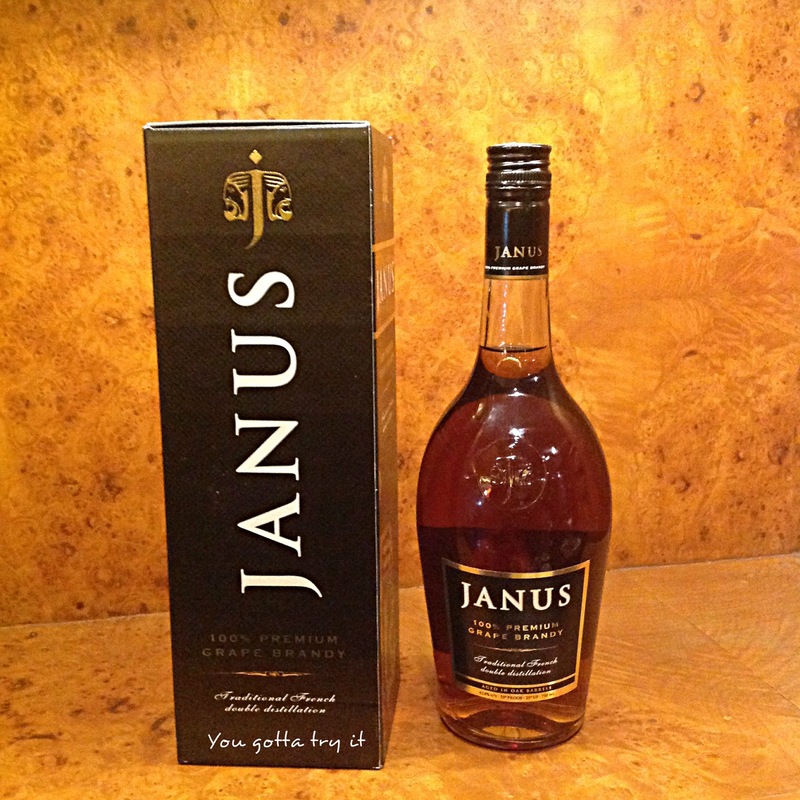 Currently Janus is available in 750ml and 180ml SKUs and priced at INR 2000 and INR 570 respectively (in Karnataka). Price varies in other states. It's time to forget the age old tradition where brandy is used with warm water and crushed pepper for curing cough ailments. This premium brandy will surely take a place in your bar cabinet.